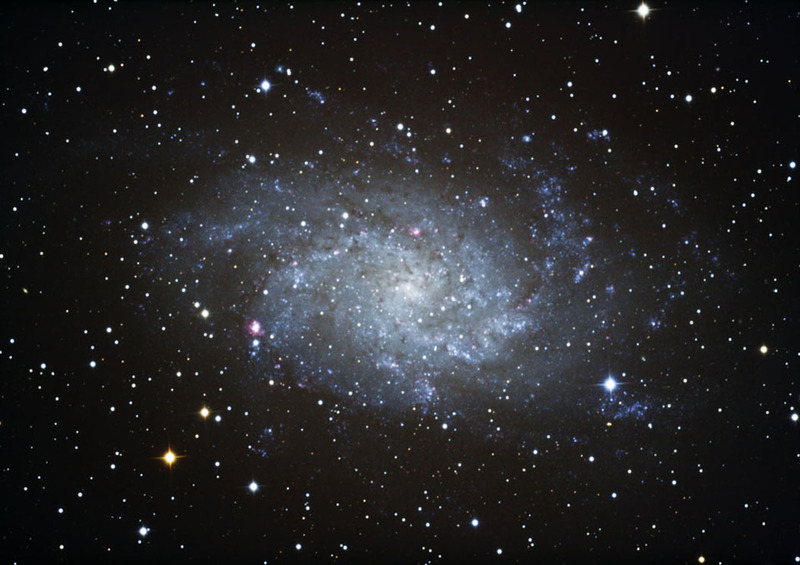 M33 is also referred to as the "Pinwheel Galaxy" due to its distinctive spiral shape. It is the third largest galaxy in our Local Group, after the Milky Way and Andromeda Galaxy. It lies approximately 3 million light years away and has a diameter of 50,000 light years. Images were focused using Live View. They were aligned and combined in ImagesPlus. Final image was adjusted (Curves, Levels) in Photoshop CS. Location: My backyard observatory in southeastern Minnesota on 11/5/10. Seeing was good. Humidiity was 45%; Temp was 20F.